Chronicles of Nushy: Which SSD to get? 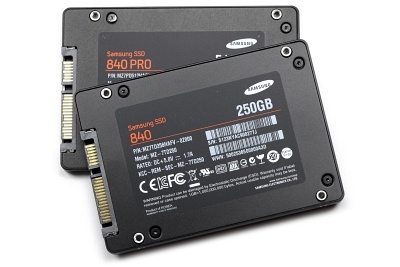 Samsung 840 Pro or OCZ Vector? Or something not thathighend? Which SSD to get? Samsung 840 Pro or OCZ Vector? Or something not thathighend? Since then I have bought the Samsung 840 Series 250GB SSD because it was the cheapest drive I could find and it indeed is fast enough for everything I want it for. Head HERE for some benchmarks folks. OK. Now that I have replaced the hard drives (link and link), it is the phase 2 of my plan. It's time to replace my Kingston HyperX 120GB SSD. Why replace the current SSD? 1. Number one reason is that I have to give someone a cheap SSD and instead of buying a smaller (probably used) SSD, I can give mine away. For someone getting his first SSD, 120GB is a big deal. Besides, I have maintained this SSD very well. Since the resale value of a second hand SSD is pretty low, I'm taking this chance to refresh a new toy. 2. I will soon have JPY 10,000 worth points from sofmap.com by trading in my old HDDs , so I'd like to use them on a new toy. I don't have to use then right now though. 3. I have had instances where 120GB is just not enough. I've managed to avoid unpleasant scenarios but it won't hurt to have more space. The only problem I have is that there is a very good chance that the prices would come down in the next year. I might be able to buy 512GB for the same amount of money I spend today on a 256GB high-end SSD like the Samsung 840 Pro. That's a chance I have to take. Maybe this single point will hold me off from buying an SSD right now. 4. Every SSD slows down when they get filled and there are newer drives out there that respond well when they lose free space. Some respond rather terribly. One of those better drives is the new OCZ Vector which is pretty expensive. I'd like to get one of those drives if possible. Sofmap.com does not sell every SSD out there. Here are my choices, sorted from cheapest to expensive order. They are either 240GB or 256GB. Looking at the prices, it is either gonna be the Samsung 840 (for best price to performance) or the Samsung 840 Pro (best performance) (view Samsung 840 vs 840 Pro comparison here.). I really like to get the 840 Pro, but I don't know if I will be able to tell the difference between the two drives. But on the other hand, I want a drive which is at least fast as the current drive. I don't know if the Samsung 840 would live up to it. It doesn't have good write performance, but that is OK, because I don't expect to do frequent writes to the drive. This is gonna only hold the OS, applications and the games. Samsung 840 or 840 Pro? If the OCZ Vector was there, things probably would have been more difficult. Like I always say, too many options is as bad as no option. Sofmap still doesn't sell it. And even when they do, it will be more expensive than the 840 Pro. Amazon currently sells it for JPY22,000 and that is the cheapest price for it.